This is the music to the BBC North West documentary Hard Cash, first broadcast March 1990, produced by David Henshaw, directed by Liz Molyneux. 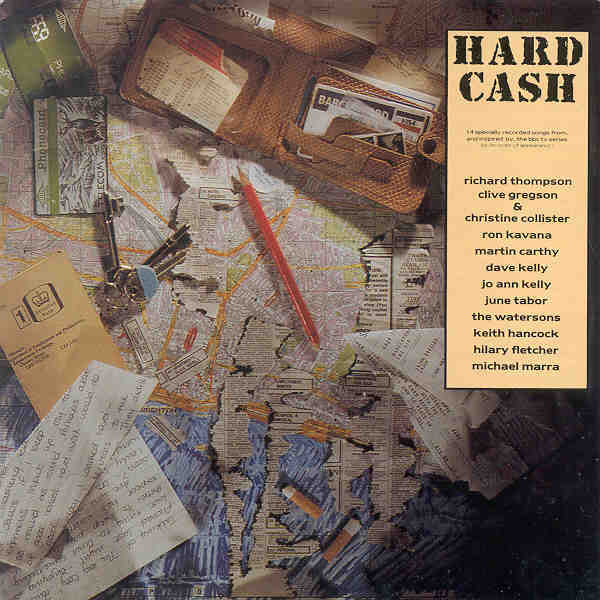 We were asked to write the music for the BBC series Hard Cash at the beginning of 1989 but it was only after we had seen some of the completed filming that we hit upon the idea of expanding the project to record an album including contributions from other songwriters on the same theme of exploitation at work, written from whichever angle they chose. It is hard to find a songwriter or, indeed, any musician who cannot relate to the reality of being exploited, an irony that many of those involved were quick to point out and it may have been this that fired their extraordinary efforts on this project. As you will hear, they all rose to the occasion surpassing all our expectations by writing and performing some truly excellent songs, sometimes expressing views that do not necessarily reflect their own sentiments! The result is something which we are very proud to be associated with.